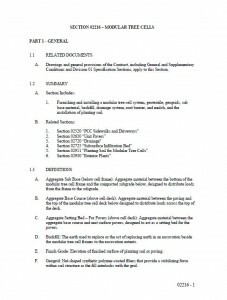 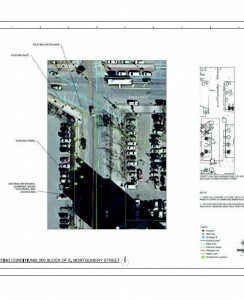 300 Block of Montgomery St. & 200 Block of E Water St.
Onondaga County worked with the City of Syracuse to develop streetscape improvements on E. Water and Montgomery streets. 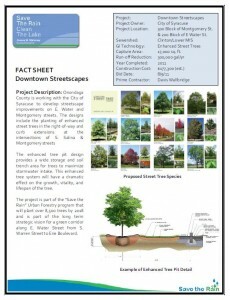 Enhanced street trees were planted in the right-of-way and curb extensions were installed at the intersections of S. Salina & Montgomery streets. 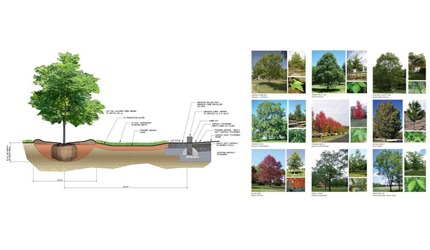 The enhanced tree pit design provides a wide storage and soil trench area for trees to maximize stormwater intake. 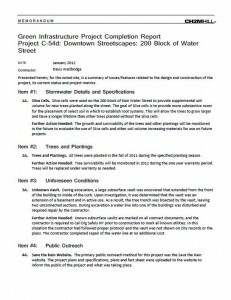 This enhanced tree system dramatically improves the growth, vitality, and lifespan of the tree. 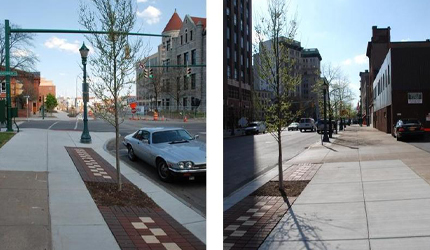 This project is part of the “Save the Rain” Urban Forestry program that will plant over 8,500 trees by 2018 and is part of the long term strategic vision for a green corridor along E. Water Street from S. Warren Street to Erie Boulevard.